Sadly, she’s right – it wasn’t exceptional. Many shops, restaurants and bars ended up sheltering patrons for hours on end. What was exceptional were the actions of staff who went above and beyond the call of duty on Friday evening to ensure that guests were taken care of. For details on how one of the best cocktail bars in Paris became a Red Cross headquarters during the terrorist attacks in Paris, see the full story on Paris by Mouth. Trends I hope we’ll see in 2016: clear signage, preferably with neon letters, so that I can know whether I’m at one of the best bars in Paris or an abandoned crack den (I’m looking at you, Le Syndicat). Also, if one is forced to spend 15€ on a single cocktail, one should not be forced to squat on a low bench or ottoman that feels like a birthing stool built for a dwarf. Tiny furniture is adorable, but who wants to drink with their knees pressed to their chest? 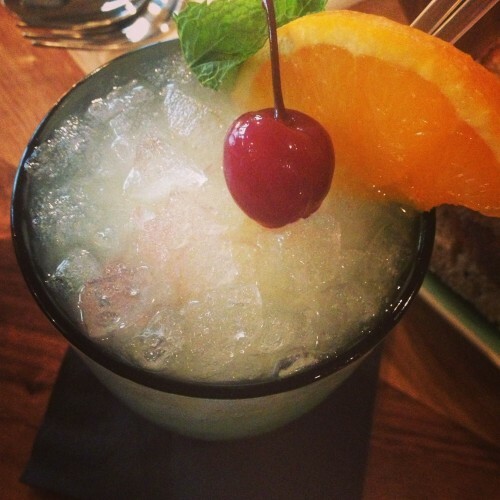 For more on cocktail trends we actually like, see the full article on Paris by Mouth. The slim mustachioed men behind Belleville Brûlerie, David Flynn (formerly co-owner ofTélescope), Thomas Lehoux (Ten Belles) and Anselme Blayney (Ten Belles and Le Bal Café), commissioned their handmade table in Serbia specifically for this purpose. Twice a week, on Tuesdays and Fridays, they open up their bare bones production space for cupping sessions with baristas from the various cafés they supply, including (but not limited to) Kooka Boora Café, Holybelly, Le Bal Café, Ten Belles, Fragments, and Fondation Café. Starting November 16th, on Saturdays, they’re cupping with the public, too. Imagine a wine tasting. Then imagine a wine tasting on crack. Or rather, caffeine. That’s cupping. 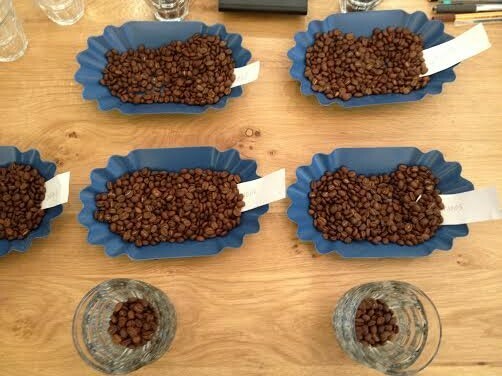 But unlike a wine tasting, where the product is ready for consumption and merely needs to be poured into a glass, coffee tasting requires preparation and scientific attention to detail. The beans are thus freshly ground and brewed with scientific precision in front of your eyes in a lengthy but rewarding process. One that requires a lot of cups.